Nature abounds with amazingly effective remedies for the skin! For centuries, clay is known to have the ability to bind toxins and possess numerous minerals that are nourishing and beneficial for the skin. It is used to remove debris from under the skin, reduce pore size and improve skin tone. As clay is a powered dried mud that can cause some drying of the skin, honey is a superb choice for rehydrating and combining the clay. 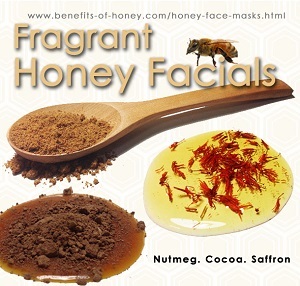 Get recipe in: Purifying Honey Clay Mask.